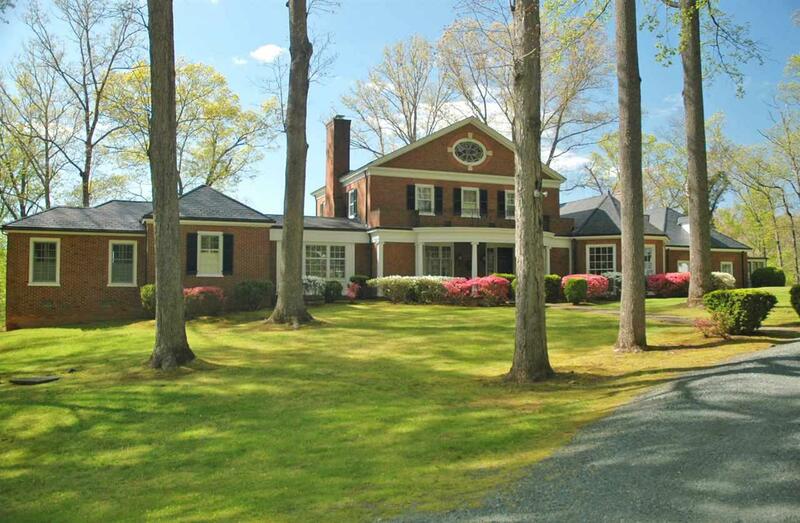 Classic Virginia Georgian home privately situated in a most tranquil 72 ac. setting. Pastures, woods, trails, streams, mountain views only 8 miles from Charlottesville. Spacious residence, excellent condition, with a contemporary fresh flair throughout, including: gorgeous gourmet kitchen, superb quality cabinetry and appliances, luxurious main level master suite, beautifully appointed guest home. Also, 3-stall stable and paddocks. SPOTSWOOD is truly a lovely, updated and manageable estate!!! Listing provided courtesy of Mclean Faulconer Inc., Realtor. Listing information © 2019 Charlottesville Area Association of Realtors Multiple Listing Service. IDX information is provided exclusively for consumers' personal, non-commercial use and may not be used for any purpose other than to identify prospective properties consumers may be interested in purchasing. IDX data is deemed reliable but is not guaranteed accurate by the MLS or Jamie White Real Estate. Data last updated 2019-04-19T21:12:28.207.